Xi Jinping has somehow escapted attention for his role despite being the mastermind behind China's cultural genocide of the Uyghur people. It is now known to the world that the Uyghurs are going through one of the most horrific cultural genocides of the 21st Century. The emerging testimonies from the victims of it, however fragmented they are, can point to a bigger picture that China, with a morally abhorrent and psychologically cold-blooded cruelty, are crushing the Uyghurs at all levels. 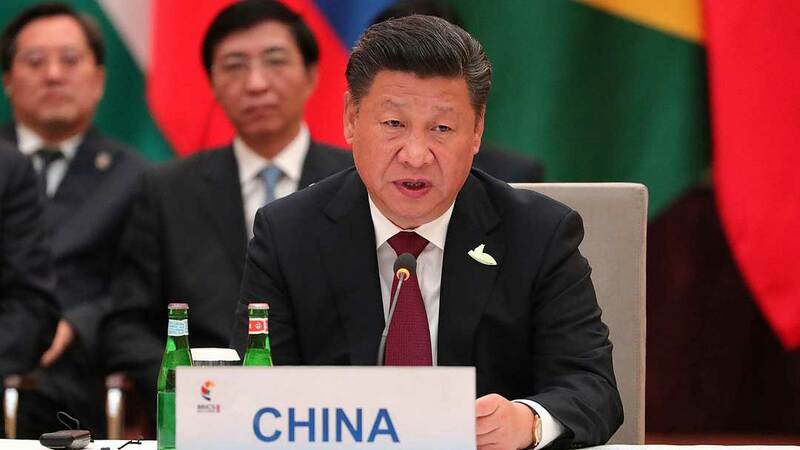 Xi Jinping is the mastermind behind this genocide as the leader of China, and for the most part has somehow escaped the spotlight of international pressure and criticism, remaining a silent and unnoticed perpetuator of this genocide. An increasing number of Uyghurs are being secretly transferred from the concentration camps in Xinjiang (also known as East Turkistan) to jails across China as a tactical move to erase the traces of the crime against humanity that Chinese authorities are committing. The recent satellite imaginary captured and analyzed by the Australian Strategic Policy Institute (ASPI) think tank is indicative of “the expansion of 28 detention camps that are part of a massive program of subjugation in the region of Xinjiang.” Hurriedly legitimizing the concentration camps into law, the Chinese government is defending them as a mechanism to change the culture of Uyghurs with the intent of making their lives more “colorful.” At first denied, then partially accepted and now praised by the Chinese authorities, the concentration camps are operating as a place of real horror as well as profound confusion—where does all this lead up to? With no prospect of returning these Uyghurs to their homes, there seems no opportunity for family reunification between parents, who are detained in the concentration camps, and their children. The lives of Uyghurs are, therefore, slowly but surely being destroyed in sadistic manner. Genocide is both politically motivated and psychologically prepared. Politically, it aims to annihilate a race of people by negating their right to exist, to determine their destiny, and to re-establish themselves in future generations. This is achieved through aspirations being obliterated, fundamental life-sustaining resources destroyed, widespread cruelty justified, and inalienable human rights denied. Horrifyingly, everybody in the dominant society is mobilized to take part in the genocide to mercilessly and “heroically” slaughter the dehumanized enemy. It becomes the center of political will, action and resolution. It is characterized as a historical necessity to bring a most troublesome and previously unsolved political problem to an end. Sometimes it is carried out in the name of patriotism, nationalism, or even humanitarianism. Psychologically, genocide is one of the most complicated human behaviors to comprehend as it unleashes the otherwise hidden, dark and disturbing drives of aggression and rage on a massive scale. It obliterates the difference between good and evil morally and between normal and abnormal psychologically. Morally, it makes people inept and therefore blind to see the consequences of their actions. Psychologically, it then allows people to act sadistically and even inhumanly when they would otherwise never have acted in that way. The psychological concept of an intrinsic primal pack mentality within human beings generates a sense of social status and normalizes atrocities in the course of genocide inflicted upon others. This absolves the perpetuators of their personal and moral responsibility for their actions. The psychological motivation for genocide is driven by emotions of fear, anger, and hatred. It is the result of being desensitized, both psychosocially and morally, through long-term propaganda and brain-washing aimed at diminishing the intrinsic value of a human life. In genocide, an opportunity is provided for a person or group to release their deeply ingrained and largely unconscious aggression towards the targeted other who is vilified, feared, or hated. In it, the wholeness of human existence is reduced to the level of an animal or a plant to be despised, controlled, or eradicated. In this context, the Uyghur cultural genocide can be perceived through these two lenses: political and psychological. On the political level, the establishment of the concentration camps aims to offer a final solution to the Uyghur issue in the restive Xinjiang region. This political solution, recently celebrated by some Chinese Communist Party (CCP) members as a guarantee of China’s stability and prosperity, has never been as resolute as it is currently. For Xi Jinping, this paves the way for the successful implementation of the mega-Eurasia project, the One Belt and One Road Initiative, to which the Uyghurs are perceived to be a threat. It is also a deliberate strategy to vacate more space in Xinjiang—in particular, southern Xinjiang—as a gateway to Central and West Asia. This accommodates the influx of Chinese immigrants assisted by Chinese authorities who have previously felt unsafe, to some extent, in a foreign, “backward” and often unwelcoming land as colonial settlers. Furthermore, it facilitates Chinese expansionism through trade incentives promised by the Initiative into Central Asia, further into the Middle East, and finally into Europe. The cultural genocide, therefore, is no longer solely an assimilationist policy of China to forcedly integrate Uyghurs into Chinese identity. It serves multiple political purposes and is a deliberate strategy to eradicate Uyghur identity altogether and, resultantly, to establish “eternal peace” in Xinjiang and beyond at all costs. On the psychological level, the cruelty expressed in this cultural genocide is terrible and terrifying. It is psychologically motivated being founded in the deep hatred of Chinese authorities and indoctrinated through propaganda into the Han Chinese towards the Uyghurs. This hatred has been opportunistically manifested from the growing anti-Islamic tendencies both inside and outside China after the tragic terrorist attacks of September 11, 2001, in the US. The Uyghurs, who are predominantly Muslims, have been victims of these tendencies. It has been deliberately exaggerated and exacerbated through state media and social media as a response to such Uyghur-related incidents in Urumqi, Kunming, and Tiananmen in recent years. On the media coverage of these incidents and on a variety of discussion forums, the Uyghurs have repeatedly been vilified as terrorists and savages. The causality of these incidents has never been addressed transparently and genuinely by Chinese authorities. Instead, the authorities have utilized these incidents to justify harsher and more radical measures to suppress the Uyghurs with no intent of reconciliation. In playing on the insecurities of the Han Chinese in the context of a global threat of terrorism, Chinese authorities have developed mutual blame against the perceived Uyghur enemies into fear and hatred. The intensity of insecurities is heightened further by tacitly localizing the perceived threat within the Han Chinese population from the Uyghurs as enemies by the state under the pretext of fight against three evils (separatism, religious extremism and terrorism). This has created a disproportionate Chinese hatred towards Uyghurs who have never been able to express their discontentment with the political status quo. In the end, both parties fell into a spiraling trap of deteriorating their relationship where only mistrust and hostility exist. The Chinese state media has successfully created a “monster” in the closet needing to be eliminated for the peace of mind of the people. The Chinese people are, therefore, psychologically prepared for accepting anticipatorily and perpetrating any type of atrocities to eliminate the Uyghurs who perceivably are threatening their peace. Genocide is justified. The ineffective and uncoordinated international reaction to mass killings of Muslims and non-Muslims in Syria and the Rohingya genocide has encouraged China to consider eliminating the Uyghurs as a real possibility. By exploiting widespread international anti-Islamic sentiments, the authorities have portrayed the Uyghurs as part of global terrorism networks. They have exaggerated threats from the alleged, and indeed shadowy, organization called “The Turkistan Islamic Party” formerly known as the East Turkistan Islamic Movement (ETIM) and other names. Inside China, the Uyghur genocide is committed in a progressive way. The first stage was in the form of the “Strike Hard” campaign, where Uyghurs were forced into a surveillance state by Chinese authorities exclusively targeting religious and cultural contents in cell phones and computers of the Uyghurs allegedly related to terrorism and separatism deemed dangerous for social stability and security. This campaign was launched as a swift response to the ethnic violence within the capital city of Xinjiang, Urumqi, on July 5, 2009. In 2014, the campaign was re-intensified as a zero-tolerance policy of any dissonance to the authorities aiming to eliminate any threat or resistance, resulting in mass arrests of Uyghurs in an extrajudicial way. The second stage is cultural genocide through supposed re-education that attempts to force Uyghurs to denounce their own cultural identity and adopt Han Chinese culture. This stage is manifested in a way, in which authorities have determined to re-engineer the psyche of the Uyghurs through indoctrination while systematically destroying their belief systems. This then eliminates their linguistic rights and prohibits their cultural practices. The third stage highlights China’s pervasive attempts to rapidly expand “re-education” camps in preparation for a massive physical genocide behind closed doors. Widespread use of torture inside the concentration camps is a testimony to the real intention of the authorities—it is not the temporary “reprogramming” of the Uyghurs mind, but the permanent elimination of Uyghur existence in the end. Furthermore, the lack of globally coordinated efforts of world leaders, governments and human rights organizations to put pressure on China to stop the Uyghur abuses are sadly making the reality of physical genocide more likely than ever. At each stage, Chinese authorities have carefully monitored international reactions to its action, in particular, the reaction of the US, UN and key human rights organizations. China’s response to any international criticism is portraying themselves as the victim of terrorism. The Chinese government is further blaming the Western media and governments for applying “double standards” to its efforts to fight against “Uyghur terrorists.” Presented in the form of victim mentality, this blaming tactic intends to achieve two goals: to justify its crime against humanity by usurping anti-terrorism policies of the West, and to put more pressure on the international community to be silent over the Uyghur genocide. All these factors have contributed to China’s unfortunate successful implementation of their continued genocide of the Uyghur people. However, the missing piece in this puzzle is what role Xi has played in this cultural genocide. In the literature of China’s concentration camps, his name is barely mentioned. He has not openly made a statement about the position of the Chinese government on this matter. The sanctions that US lawmakers are pushing for through The Magnitsky Act against “senior Chinese Government and Communist Party officials who oversee these repressive policies, including XUAR [Xinjiang Uyghur Autonomous Region] Party Secretary Chen Quanguo” do not include the name of Xi Jinping. The Uyghurs in diaspora also consider Chen as a main perpetrator of the Uyghur abuses. Once again, the name of Xi Jinping escapes the focus of attention, as if everything were running its own course independently of his leadership, guidance and approval. And yet, without the instruction and knowledge of Xi, nothing happens in China. Not even a small political move or decision, let alone the gradual and systematic elimination of an entire population—the Uyghurs. Is the absence of the name of Xi on the list of the perpetrators of the Uyghur genocide a collective memory lapse at all levels internationally? Or, is he so powerful to avoid any public attention paid to his masterminding of such a horrific crime? How could Chen Quanguo, however merciless he was in Tibet previously and in Xinjiang now, be able to undertake such a vast-scale and organized murder without the knowledge, instruction and approval of Xi? Historically speaking, most of the perpetuators of genocide, e.g., Hitler, Mao Zedong, and Stalin in the 20th Century, have something in common. They all had deep hatred (however misguided and biased) towards another group, people or nation who became victims of the atrocities ordered to be inflicted. In addition, they were all good at communicating this hatred among their followers in an astonishingly effective way. All these perpetuators were dictators who not only singlehandedly commanded the bureaucracy of the state, but also instilled the sentimentalities of hatred within their people. More importantly, they diligently crafted a political cult of personality in their country where they were idealized to be an invincible, caring and worshipful leader. Furthermore, these perpetuators provided a (theoretical) explanation for the extermination of the victims of the genocide. Hitler tried in his Mein Kampf to elaborate on his sinister anti-Semitic views through using the perspectives of Social Darwinism, resulting in the murder of six million Jews in concentration camps in Europe. Mao Zedong established ideological unity through mass propaganda, political purges and grass roots populist campaigns. Congruently, he envisioned the Great Leap Forward to totally transform the country from an agrarian economy into a socialist society through rapid industrialization and collectivization, resulting in tens of millions of deaths during the Great Chinese Famine. Stalin, while strengthening the political power of the Politburo, purged some of the key members of the Soviet Communist Party, intellectuals and others for the purpose of isolating and eliminating the ideological enemies through the Gulag system. This system was based around class-alienation and counter-revolutionist theologies, portraying victims as socially dangerous, disruptive, suspicious, and other disloyal elements. This resulted in millions of deaths in a harsh and inhuman environment in Siberia and beyond. All these genocides are, in essence, ideologically driven, psychologically prepared and politically carried out by the respective head of state. At first sight, Xi Jinping’s case seems different to all these, and he has calculatedly approached the Uyghur genocide quite differently with an unassuming silence. He has never documented any literary justification for the Uyghur genocide. He has not made any speech or written any treatise to defend and justify his position on the atrocities committed under his direct command, despite mounting international criticism. He has also deliberately remained silent and absent from shaping or changing the hearts and minds of the Chinese people who may seek to understand this genocide. More specifically, they may either take part in or bear witness to the massacring of the Uyghur people, and to the plight of Uyghur children who are deeply traumatized by the separation from their parents. In this corrosive silence of Xi, the genocide is unfolding in a highly organized and institutionalized way. The real perpetuator, Xi, is not seen or heard anywhere in the scene of the genocide. He is invisible and inaudible, and yet, his direct command of this genocide is all encompassing, albeit surreptitiously. There is, however, some evidence of Xi’s command over the Uyghur genocide and hints that he made on how to deal with the Uyghur disobedience. An example of this is his speech on his rare tour to Kashgar in 2014, preceding a work conference that would decide the policies for the implementation of the Uyghur genocide. In his Kashgar speech, Xi demanded stringent action against the Uyghur unrest. This speech could be interpreted as veiled criticism of the failure of his predecessors, Jiang Zemin and Hu Jintao, to implement what is ultimately their common goal to end the Uyghur unrest: the Uyghur integration into Chinese culture through economic growth. While it is not something new that he demanded, there is noticeably a different approach in his speech. He used strict and subtle language that defined, anticipatorily, the higher purpose of suppression of the Uyghurs in the future in the name of fight against terrorism, “to give a crushing blow to the terrorist forces” (给暴力恐怖势力以毁灭性打击), published on Xinhua Net on 1 May 2014. He deliberately replaced the terminology of his predecessors, the “Strike Hard”, with a new terminology, “the crushing blow,” highlighting an increased level of intensity, depth, harshness and scope of the upcoming Uyghur genocide. Therefore, the need had arisen for China to portray the Uyghurs more prominently like terrorists as a justification for elimination, being a dangerous threat to national security. Three events happened in chronological order in the lead up to the establishment of the concentration camps are worth considering. Firstly, a variety of sources, including China’s official sources, have confirmed that Uyghurs had travelled to South East Asian countries since 2013, where they moved further into Syria through Turkey on an alleged mission to be jihadists. Secondly, Xi’s important speech at second Central Work Forum on Xinjiang (第二次中央新疆工作座谈会) in 2014 to accomplish “the erosion of ethnic differences, the removal of obstacles to the free ‘mingling’ (jiaorong) of Chinese citizens and the forging of a shared national identity.” Thirdly, the sudden relaxation of the restrictions on the obtainment of passports for Uyghurs to go overseas in 2015. The first and third event is actually the implementation of the second event, providing a golden opportunity for China to portray Uyghurs as part of the global terrorism networks operative in Syria and beyond. There was travel of a relatively small number of Uyghurs to Iraq and Syria, where such jihadist groups as Islamic State and al-Qaeda (AQ) were operative in 2013. This was utilized as propaganda by the Chinese authorities, making an alleged link between global terrorism networks and rising incidents of Uyghur resistance against China. The question remains how China, as a police state monitoring everything with great intensity and precision, could allow thousands of the Uyghurs to be indoctrinated openly in China with hardline Islamic theories compelling Muslims to commit themselves to the call of jihad. Further to this, how could China allow these Uyghurs to cross its border into South Asian countries to join the terrorist forces in Syria? Aside from all these mysteries, the presence of Uyghurs in Syria serves as a pretext for Xi’s new anti-terrorism legislation and strategic shift to accelerate the genocide after 2014. This incorporated detaining “anybody travelling internationally who is a Muslim”, with a particular focus on a list of 26 sensitive countries, including Pakistan, Saudi Arabia, Malaysia and Turkey, where they were supposed to be influenced by radical Islamic thoughts. The Uyghurs were then successfully placed in the concentration camps under the bizarre allegation that they caught ideological viruses during their stay in at least one of these 26 countries. They were labeled as having allegedly deep and dangerous links with global terrorism networks and hence punished for harboring terrorism tendencies. The puzzling question is this: How could Xi Jinping command China to commit cultural genocide of the Uyghur people, a horrendous crime against humanity, for which he is yet to be held accountable? Without a doubt, Xi has expediently consolidated his power as the most powerful leader in China after Mao. His background as a “princeling”, son of a senior Chinese official, should not obscure his real strengths—his highly pragmatic mind, strong personality, cautionary moves and strategic endeavors to ascend to a top level where he simultaneously serves as the President, the leader of the CCP, and the commander-in-chief of the military. Comparatively, the similarities between Mao and Xi are more fundamental than their differences. Both of them share essential leadership qualities of strategic adaptability, psychological resilience, tactical shrewdness, inherent ruthlessness, and the pursuit of eternal fame. In particular, both of them are ruthless in eliminating their enemies. Mao eliminated Liu Shaoqi and removed Deng Xiaoping as hidden rivals under the pretext of ideological purges, whereas Xi eliminated Zhou Yongkang, Bo Xilai and now Meng Hongwei under the pretext of anti- corruption. Both of them are political idealists by vision, despite being highly pragmatic by nature. Mao led the Great Leap Forward movement to achieve an unrealistic goal of bringing about rapid industrialization and economic growth, whereas Xi put forward a grand plan of China’s Dream. More importantly, both of them are staunch Chinese nationalists, irrespective of their different orientation in the Communism ideology. Mao forged Chinese identity through socialist idealism, whereas Xi captured China’s growing power with the term “China’s rejuvenation” to legitimize further the CCP’s primacy, grandiosely signaling the end of The Century of Humiliation (百年国耻). Thoughts of both leaders are shrined in the CCP’s constitution and they are revered as great leaders. However, there are two crucial differences between them, one is personality-based and the other is personal. Firstly, unlike Mao, Xi is deeply intolerant to divisions and differences. He is not the Machiavellian politician who knows how to subtly play the game of reaping the seeds of dissonance by turning one against the other to minimize the threat of the united. Instead, he seeks full dominance to avoid any discord. This desire is translated into his conscious efforts to bring back the legitimacy of the CCP, which is waning due to many factors. These include the tarnished image of the CCP as a result of the deep-rooted culture of corruption; political factionalism operative in almost all institutions; the political and economic influence of Western culture; and demands on a greater level of individual freedom and on deep social reforms for a free press, democracy, and the constitutional separation of powers. All of this, in the eyes of Xi, is a threat to the legitimacy of the CCP. At the political level, he is well aware of how the supposedly almighty Soviet Union collapsed overnight. This political trauma contributes to his obsession to take control over everything to avoid a similar sudden or pre-mediated disaster and can be seen that he is determined to stop China repeating the fatal downfall of its former ideal model—the Soviet Union. From his perception, only the concentration of power in his hands will enable him to achieve his ultimate goal through the tyrannical method of rulership for the sake of establishing everlasting unity within China: ideological unity through eliminating discord, difference and threat, national unity through homogenizing Chinese society, military unity through modernizing its capacity under the leadership of loyal commanders, and economic unity through putting the market under the control of the CCP. Xi’s solution of the Uyghur issue is part of his ultimate goal of unity. Ideologically, Uyghurs will be “educated” thoroughly and forcedly to abandon any thoughts against the CCP interest. Culturally, inside and outside of the concentration camps, they will be forced to be Sinisized converting to Chinese identity through brainwashing enforced with torture, where required. Politically, any Uyghur dissent within their home and internationally will be eliminated through threatening and torturing of family members, and denying communication with family. Economically, their wealth and resources will be gradually confiscated and naturalized. The second difference between Mao and Xi is related to his personal experience. The childhood of Xi was profoundly disturbed by the arrest of his father and death of his sister during the Cultural Revolution. In particular, his father’s punishment as a senior veteran Chinese communist forced him to be humiliated and he experienced hunger and homelessness, sleeping in a cave. He was working as a heavy manual worker in the age of 15 in 1969 in the small northern village of Liangjiahe in Yan’an, the symbolic heart of the CCP, according to official accounts. These events left deep trauma in him, though he later reflected on it in a more confident, reflective and reconciliatory way. Indeed, he emerged from the grips of this trauma gaining resilience and pragmatism. However, these events hardened his heart to be extremely calculative, unyielding, cautious, and merciless. Behind his tough, uncharming and forlorn face, there is residual and only partially-healed trauma in the form of insecurity that is deeply hidden. This insecurity manifests in the sense that he is extremely sensitive to any mockery or criticism of him. In 2017, Wang Jiangfeng was sentenced to two years for apparently making fun of him by labeling him with a nickname of “Xi Baozi” (steamed bun Xi) in private messages he sent to friends. With this sensitivity to humiliation comes a deep sense of shame causing insecurity hidden within himself. It forces him to confront his own suffering in a ruthless and extremely painful way. Externalizing this ruthlessness upon others gives him a sense of self-relief from his own deeply ingrained insecurities psychologically referred to as transference. It is a way to escape from the pain always making itself felt in an unbearable way. Another derived product of this shame is his (known) perfectionism, being as harsh on himself as he is on others, in particular, on his enemies. He is deeply afraid of making any mistake because this is a sign of losing control over his external world, and, even more petrifying, could potentially disclose his weakness and vulnerability to others. Therefore, to survive the external uncertainties requires self-control and self-discipline to a level of being a perfectionist. Only perfectionism can save his face, preventing him from being ridiculed, defeated and eliminated as he experienced in his teenage years. A provincial leader described Xi as “always very boring and forgettable. He didn’t want to get any kind of bad record.” He has a persona of an ordinary person: his speech is unimpressive; his mannerisms are not spectacular; his ideas are not charming; and he does not convey charisma. But there is something special about him: he is a man of enormous inner strength, discipline and determination. These qualities are manifested in his leadership skills. One of his favorite quotes from Confucius gives us some hints about how he perceives himself as a leader: “He who rules by virtue is like the Pole Star. It maintains its place, and the multitude of stars pay homage.” He fantasies himself at the center of attention. In his self-image, just as the Pole star is the brightest one, he perceives himself as the center of the political universe, the king of the Middle Kingdom. He enjoys a grand megalomaniac image of himself, only secretly. This is the mastermind behind the cruel operations of the concentration camps. His resolution to attain his goal is as striking as his merciless approach to opponents. His perfectionism is displayed in his command and the resulting precise execution of his orders and in his way of keeping low profile in overcoming enormous challenges to his authority and personality. His resilience and determination within his personality compels him not to give up on any goal he sets. Therefore, he will not seem to surrender his goal of genocide of the Uyghurs in the midst of the growing international pressure, just as Mao Zedong, Hitler and Stalin did not relinquish their determination of genocide towards their opponents. Most importantly, like the other dictators, he is under the delusion that his genocide is self-justifiable as a response to the perceived Uyghur threat to the national security of China. From his perspective, his motive is transhistorical—nobody can blame him in the future for what he has done, including the genocide of the Uyghur people. Xi’s vision of the Uyghur genocide is rather melancholy. He has not demonstrated any sign of clemency for the victims of his cruelty. For him, any clemency is a sign of weakness that reveals the abyss of insecurity that he takes pains to hide from the world. To achieve the unity of the discords, he is internally bound to display the integrity of his personality through his resilience and resistance, and any kind of compromise or forgiveness is a sign of weakness and therefore not an option. The more ruthless he becomes, the more secure, strong, and safe he feels within himself. He needs this cruelty to appease the harrowing sense of emptiness in his heart. The Uyghur genocide will allow him to look as fearless and invincible as a leader like Mao domestically and internationally, whom he secretly worships. Mamtimin Ala is currently residing in Australia and holds a PhD in Philosophy from Katholieke Universiteit Leuven, Belgium.